Persol 3028 - Black Need Help? The Persol 3028 is a timeless, well proportioned design that works on both men and women. A folding frame with hinges at the bridge and temples allows it to fold down neatly into a compact case– perfect for easy storage and transport. 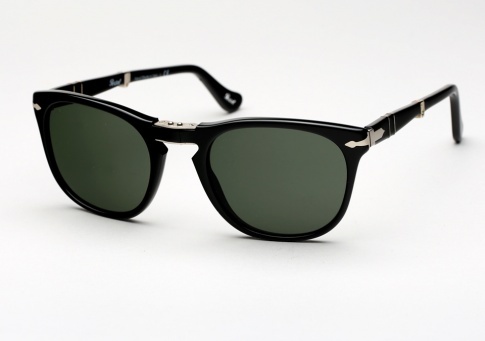 It features Persol’s Iconic Supreme Arrow metal hinges, Meflecto temples, and a classic Keyhole Bridge. Handmade in Italy and offered here in Black paired with G15(grey green) lenses.